There’s been a lot of buzz lately about Ancestry Academy, video courses offered by Ancestry.com through their subscription website. However, not everyone has a subscription to Ancestry.com, and even if you do, the Academy courses are an additional expense. Do budget-minded genealogists have any other options? Absolutely! First, there’s the Learning Center at familysearch.org. You can find the Learning Center under the tiny “Get Help” in the top right corner. Videos and interactive slides present lessons on basic, intermediate, and advanced research in countries around the world. FamilySearch also has Beginning Genealogy Courses which address the basics in about 5 minute clips. Legacy Family Tree, popular genealogy software producer, offers free webinars every Wednesday afternoon on a very wide range of topics. Once they are shown, the webinars are archived and available for free for about a week or so. After that, only members can access them. Gale Courses, available for free with your Cook Library card, offers a comprehensive beginning genealogy course. 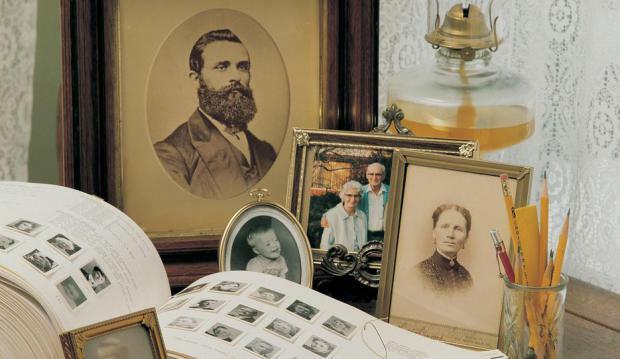 If you’re just beginning your family history research, check this out. You can find it under “Online Learning” on our Research page. Finally, if you are more interested in the personal touch, consider attending one of Cook Library’s new Genealogy Academy classes, coming this winter. Once a month on a Saturday morning, your favorite Cook genealogists will introduce you to genealogy sources in a hands-on computer class. Our first Academy class is in February so sharpen your pencils! Stuck in Your Genealogy Research?